I have carefully chosen my wonderful models for their confidence, personality, work ethic and talent. I believe in quality not quantity. They are representatives of Ma Belle Allure but they have also been chosen for their varied body shapes, sizes and ages. We feel like a family at Ma Belle Allure and this shows through in our end product. 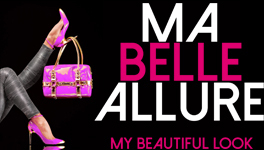 If you would like to book a Ma Belle Allure model, please email info@mabelleallure.com.au.